Find out what you need to look out for in content conception and presentation design. Our two new eBooks (part 2 here) offer you 100 exclusive tips for preparing and delivering PowerPoint presentations. 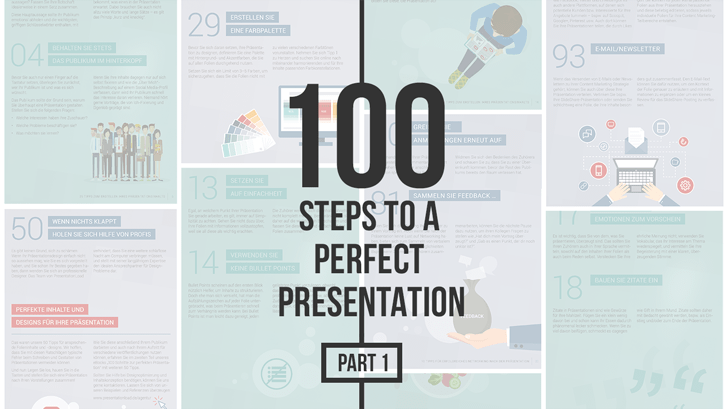 Part 1 offers you advice on creating your presentation, from developing the appropriate content to designing compelling slides. Our eBook provides helpful tips for creating professional and effective PowerPoint presentations. Sign up now in our online shop and download your free copy.